Hello everyone, it’s Friday, March 3rd and just like always we’re back with our weekly news roundup. This week’s news has a lot of interesting coverage. From Nokia’s official comeback and Snap Inc’s IPO all the way to Google Assistant, Nintendo’s Switch and Google’s own uber cheap YouTube TV service. There’s a lot we’ve got to cover so let’s get started. Every year, smartphone manufacturers take the stage at MWC to showcase their latest innovation. Brands like LG and Samsung have been known for stealing the show each year with their flagship products. MWC serves as a platform for companies to showcase what they have for the future. This year the MWC has had a different vibe. It was quite nostalgic, to be honest. And the reason was Nokia. If you have been reading the news here lately, you might have been aware of Nokia’s comeback in the smartphone business. All thanks to a company named HMD Global which is trying to revive the Finnish smartphone maker known for building high-quality devices which stand the test of time. Nokia took the stage at MWC to announce 3 smartphones this year. 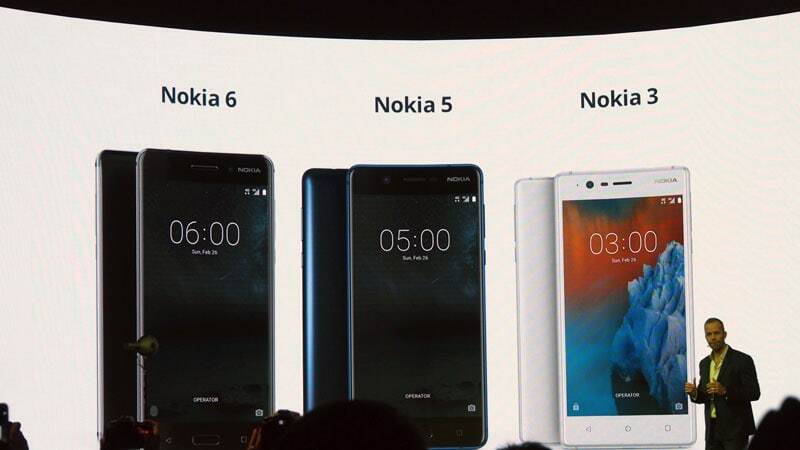 Namely, the Nokia 6, Nokia 5 and the smaller Nokia 3. The Nokia 6 happens to be the same device which was launched exclusively for the Chinese market a few months ago. The international version however, runs stock Android Nougat. It flaunts a metal unibody and curved glass screen which screams Nokia all the way. The phone also includes Dolby Atmos sound system for all the audiophiles. Under the hood, the Nokia 6 is powered by a Snapdragon 430 with 3 gigs of RAM to back it up. The screen is a full HD panel and the 6 sports a 16 mega-pixel shooter on the rear and an 8 mega pixel front facing camera. It ships with 32 GB of onboard storage and supports micro SD cards as well. The mid-range Nokia 5 sports the same aluminum unibody but comes in with a smaller 5.2-inch screen and a 720p resolution. It comes with a 13 mega pixel camera on the rear and an 8 mega pixel front facing camera. The RAM on the 5 is 2 gigs with the same Snapdragon SoC. The 3 happens to be the entry level handset out of the three phones announced. It’s got a 5-inch display and a Mediatek processor backing it up. The phone sports 8 mega pixel shooters on both ends. It supports 16 GB onboard storage and supports micro SD cards as well. 2017 will be a critical year for the company as they try to regain their fan base based on the nostalgia that people have developed towards the brand. Snapchat has truly become the social network of the modern age. With more users than Twitter and posing a constant threat to Facebook they’re growing fast. There was a time when Facebook tried acquiring Snapchat for $3 Billion which the Venice based startup turned down at the time. Ever since then Facebook has tried ripping off Snapchat in every way imaginable. From Slingshots to Instagram Stories and the latest WhatsApp statuses, Facebook has been blatantly ripping off Snapchat’s unique features. This week saw an interesting development in Snapchat’s story (no pun intended). The company Snap, finally went public with an IPO. Snap Inc’s IPO was the first IPO for the tech industry for 2017. The shares opened at $24 and traded as high as $25.20 a piece. Snap sold 20p million shares in it’s IPO raising it’s valuation ti around $20 Billion. The company managed to raise $3.4 billion in its IPO. 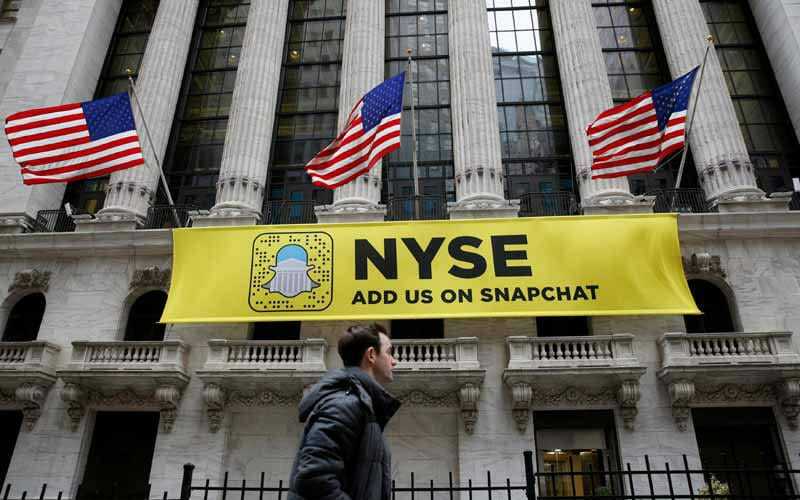 If things go well Snapchat or rather Snap is headed for something big very soon. Its being said that Bots are the future. Applications and services will be replaced by bots very soon and this is why every major player in tech is getting on the bandwagon and investing in the area. Last year at Google I/O, the search giant announced Google Assistant, it’s latest innovation which would take the company’s services ahead. Assistant was received by users in several forms. As a part of the new chat app Allo and as a default on Pixel phones. Even the Google Home was powered by Assistant. This week Google wrapped up the Assistant into the search app and decided to bring it to all Android users. You heard it right. If you’re on a phone running Android Marshmallow and above, the update will hit you shortly and you will be able to use the smart Assistant to get things done. So the flagship feature which made the Pixel compelling is no longer exclusive to that one device. In fact, the LG G6 which was launched this week at MWC ships with Google Assistant out of the box. The plan is to stage the roll out of Assistant a few countries at a time, so if you’re not on the list of the first regions to receive the update, hold tight it’ll be there soon enough. When it comes to gaming, Nintendo has always been a respected player (see what I did there?). They set a benchmark with their 3DS consoles and legendary titles like Super Mario, Legend of Zelda and Donkey Kong. A while ago Nintendo showcased their new console called the Switch. The device is hard to describe, it’s a handheld console with separable controllers called JoyCons and the screen can be docked to a TV to take your games to the big screen. It’s like throwing in the jazz moves to a classic dubstep beat. Get it? Anyways, the Nintendo Switch went on sale this Friday in a global launch. The Switch retails for $299 and works both at home and on the go. Nintendo is aiming to sell more than 2 million units in the first month. This ambitious target, paired with high demand should be enough to make up for the Wii U. 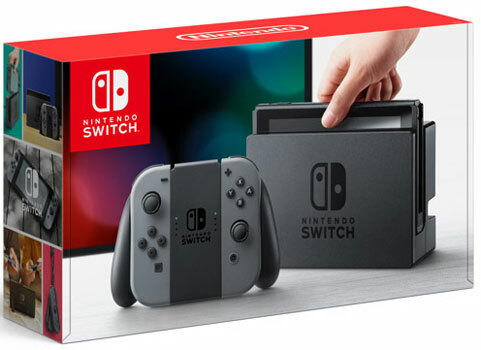 The idea behind the Switch is to give gamers a more immersive experience with real physical sensations matched to what’s going on on the screen. The Switch is trying to be a punch in the face for Sony’s PS Vita. History has it that Nintendo has scored hits with traditional consoles like the Nintendo 64 or Game Cube and even the portable ones like GameBoy and the DS handheld. Cable TV is no longer the one we grew up with. Today, cable is a synonym to services like Netflix, Hulu and Amazon Prime Video. The world quickly went digital and it even took everything analog about it with itself. With multiple providers providing multiple options at a spectrum of price brackets it’s becoming harder and harder everyday for consumers to pick a provider and stick with it. 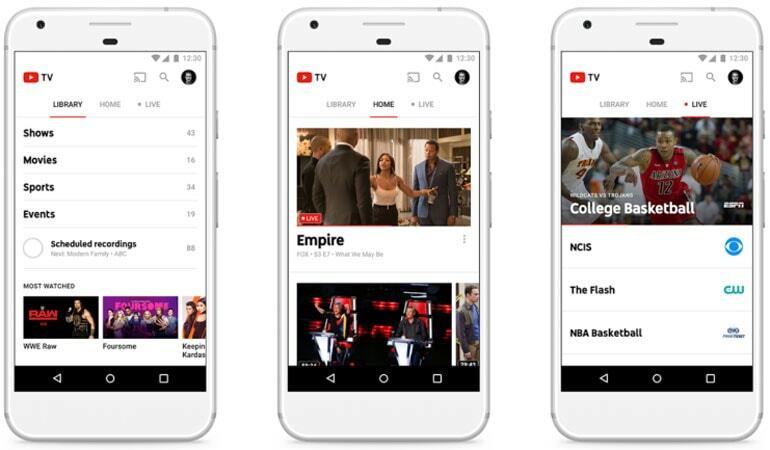 This week YouTube took the stage at an event in California to announce a virtual cable TV service. This service will be along the lines of Sling TV or DirecTV. What’s interesting is the pricing for the service. 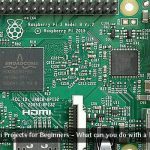 It’s being priced at a competitive $35 only and will provide access to a series of live broadcast abd cable channels like ABC, Fox ESPN and many more. According to YouTube, people want to watch their TV right where they watch all their favourite videos and other content. It wants to build and experience that works well on your phone as well as your desktop. The service will include a feature called Cloud DVR which will allow you to save an unlimited number of shows without worrying about storage limits of a regular one. The company is focused at providing quality customer service to go with it. The new service will be accessible to users via a new app which beautifully segregates everything into sections. Well seems like google assistant is booming these days. I guess you have shared some prominent tech news in a single post. Informative article by you. This post gives me idea about some unknown things. I was actually waiting for the Nokia smartphone. Hope this time, they will give strong competition to other phones. 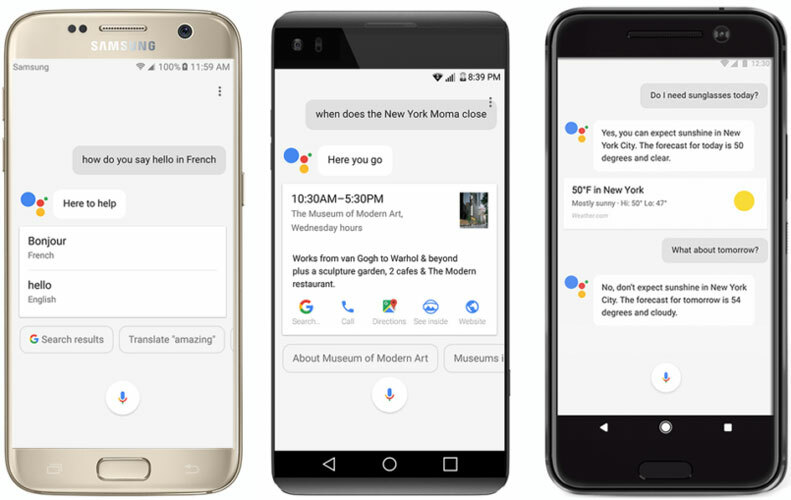 That’s the great news that Google is rolling Google Assistant for all Android device. Is it confirmed that all Android device will get that update by Google Play Services? Hi, I am looking forward to getting this phone as soon as it launches here, I am excited about the phone knowing about its amazing specifications. Thank you for sharing us. This is really good news for nokia lovers. When it is going to available in market? Will post the update as soon as we know.